I'm interested in history, and collect old photos of Phoenix and post them on the web. And nothing gets more attention than photos that show the price of gasoline. 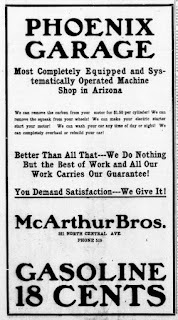 The price of gas in Phoenix in 1914, allowing for inflation, equivalent to about four dollars a gallon nowadays. Of course, a common mistake that most people make is not taking inflation into account. That is, if you see the price something in, say, 1901, you have to consider how much money was worth back then. My favorite example is that you could have gotten a shave-and-a-haircut for "two bits" in 1901, which makes 25 cents in 1901 worth about twenty bucks today. 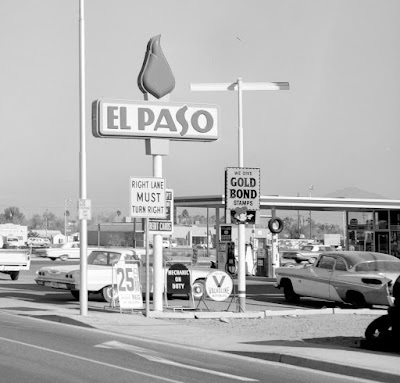 But even taking all of that into account, the price of gasoline in Phoenix started out as being wildly expensive, and then it fell dramatically in the 1950s. 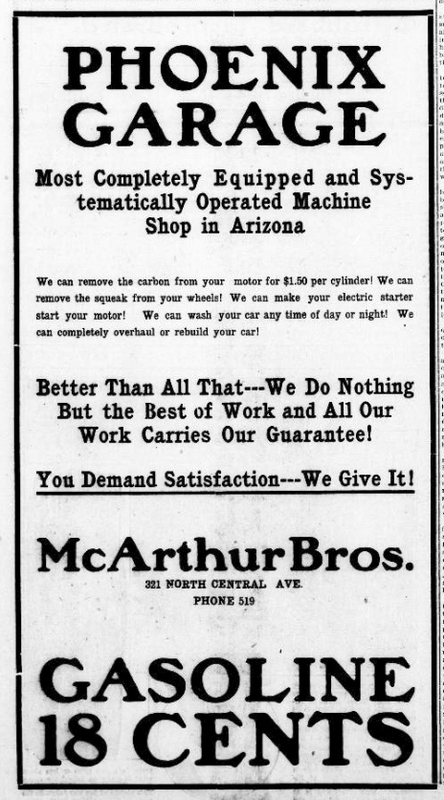 In 1915, when automobiles were still fairly rare in Phoenix, gasoline, like everything else in Phoenix, was very expensive. It had to be brought in on trains, and those were the days of monopoly-controlled rates for shipping, which wouldn't end until the 1930s. Gasoline was rationed in Phoenix, as in the rest of the country, during the 1940s because of World War II. But after the end of the war, everything changed, and by the 1950s, America entered into its most prosperous economic time. And the price of gasoline dropped. 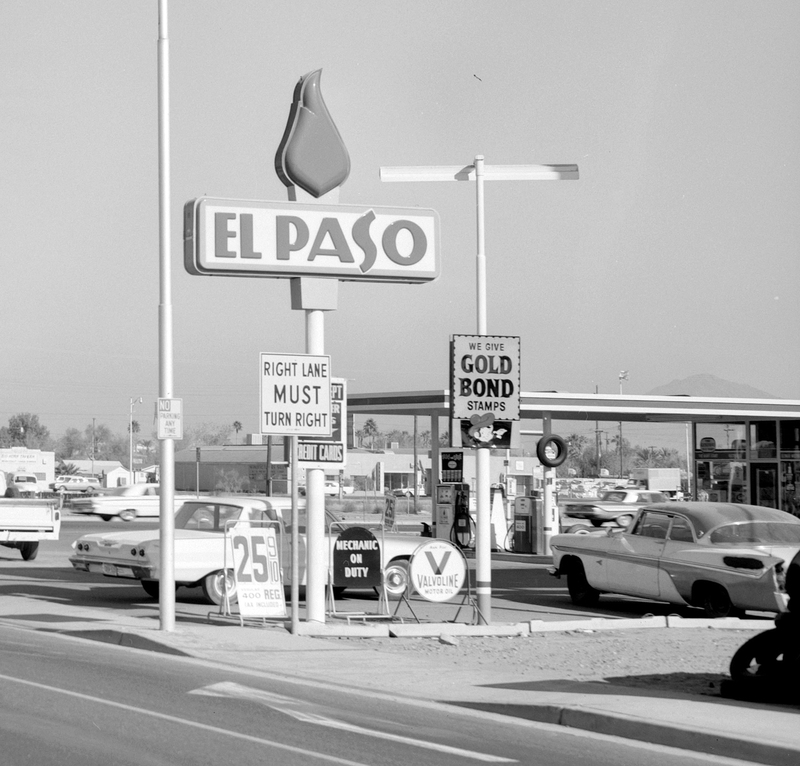 El Paso Gas Station in the 1960s, Phoenix, Arizona. Gasoline prices stayed remarkably low until the oil embargo of 1973, when prices went up dramatically, almost doubling to nearly 50 cents a gallon. The price of gasoline has continued to rise, up to the present day. Note that on the image above, the sign for the price wasn't large enough for a third digit. Gasoline being over 99 cents a gallon wasn't even considered. 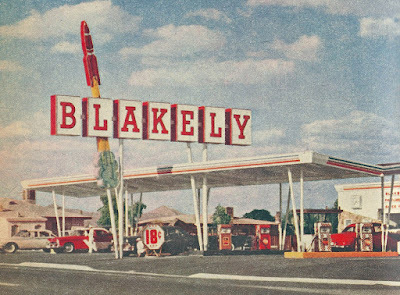 Image at the top of this post: Blakely Gas Station in the 1950s, Phoenix, Arizona.